The Permanent Court of Arbitration in Hague is going to hear the lawsuit initiated by NAK Naftogaz-Ukraine, jointly with six other companies of the group (Chornomornaftogaz, Ukrtransgaz, Ukrgazvydobuvannya, Ukrtransnafta, Gaz Ukrayiny and Likvo) pertaining to the oil and gas assets in the annexed Crimea in May 2018. The Chairman of the executive board of Chornomornaftogaz Svitlana Nizhnova stated this in an interview with 112.ua. 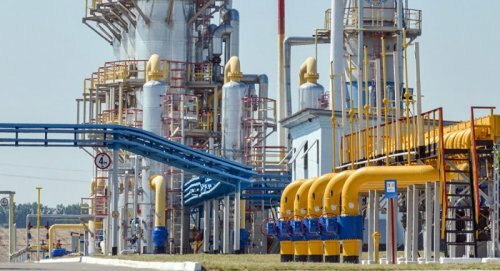 The lawsuit was filed by the international law firm Covington & Burling on behalf of the Naftogaz group in October 2016. The case is going to be handled by the Permanent Court of Arbitration in Hague in accordance with the UNCITRAL Arbitration rules from 1976. The case is being heard on the basis of the Agreement between the Cabinet of Ministers of Ukraine and the government of the Russian Federation on the encouragement and mutual protection of investments. “The lawsuit requirements come down to the amount of compensation, which has previously been evaluated by independent experts at more than $5 billion. As the case goes on, the preliminary amount could change depending on the court’s approach to the evaluation. The maritime infrastructure includes 90 offshore oil and gas wells, 8 marine stationary platforms, 8 conductor platforms, 370 km of maritime gas pipelines, 31 units of watercraft, 4 of which are drilling platforms. 5 units of watercraft were acquired shortly before the annexation of Crimea, including 2 contemporary drilling platforms (Petr Godovanets and Ukrayina). One of the platforms, Ukrayina, is being utilized by Russians in the Odesa field, Nizhnova said. The arbitration panel in the case initiated by the Naftogaz group has already been assembled. It includes judge Ian Binnie, general counsel, the Queen’s counsel (chief justice), judges: Dr. Charles Ponset, Prof. Maya Stanivukovic. The Russian party has not appointed a representative and in a letter dated 19 January 2017 stated that “the bilateral agreement between Ukraine and Russia cannot serve as a basis for the assembly of the arbitration panel for the satisfaction of the claimant’s litigation”. Also, the Russian Federation has informed that it does not recognize the jurisdiction of the international court of the Permanent Court of Arbitration” in this case. Despite this, the Ukrainian party provided the entire package of supporting documents in September 2017. Ukraine is involved of another litigation regarding the oil and gas assets in annexed Crimea. It has been initiated by Ukraine’s Foreign Ministry and is also handled by the Permanent Court of Arbitration in Hague.